A new TV spot for the eighth and final season of Game of Thrones from Twitter opens with Jon Snow and Arya Stark meeting in Winterfell’s Godswood. Both characters have experienced some major changes since Jon gave his little sister a new sword in the first season. Additionally, the brief TV spot combines some new lines of dialogue with previously revealed footage from the full trailer. In particular, Jon’s voice reiterates the urgent need to end the civil war that has devastated the Seven Kingdoms. Furthermore, another new teaser for the highly-anticipated conclusion to HBO’s epic tale just followed. The teaser features what appears to be a deserted and all-covered in snow Winterfell. The home of the Starks bears the signs of an epic battle as the crows caw in the sky. Moreover, we get a close shot to Jon’s sword, abandoned. It looks like the Battle of Winterfell in episode 3 may not go well. 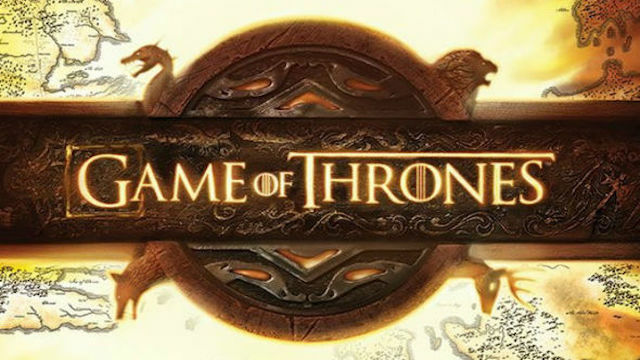 After the end of fthe final season, HBO plans to bring fans back to Westeros thanks to a pilot set 1,000 years before the events of Jon Snow ‘s and Arya Stark’s adventure. Based on George R.R. Martin’s best-selling book series “A Song of Ice and Fire,” Game of Thrones depicts two powerful families — kings and queens, knights and renegades, liars and honest men — all playing a deadly game for control of the Seven Kingdoms of Westeros, and to sit atop the Iron Throne. Winter is coming. Season 8 will debut on April 14 on HBO. Check out the new Game of Thrones TV spots, then let us know what do you think will become of Mr. Snow in the comments section below.